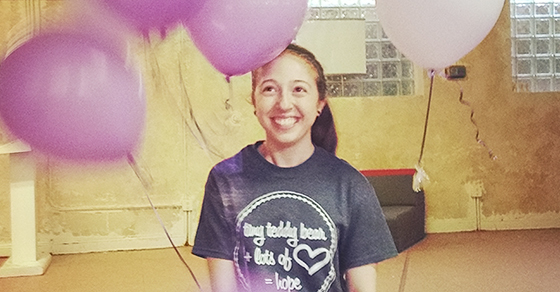 Nicole started hand-making teddy bears and distributing them to kids after she experienced the impact of such a gift. At 14-years-old Nicole was hospitalized for months to treat her Anorexia. While hospitalized, only Nicole’s parents were allowed to visit and only at very specific times. Nicole was suddenly cut off from her friends, school and everything else that was in her life. She received stuffed animals as presents. Those stuffed animals were a tremendous support. “Reminders that there are people in my life and they care about me and want to help me get through this,” she said. Nicole explained that since the stuffed animals made such a difference to her, she decided to provide handmade teddy bears to other kids. Nicole said that hope changes everything for patients and knowing that someone cares enough to make you a bear provides hope. At 16 Nicole created Cubs for Coping, a nonprofit dedicated to making and supplying teddy bears to kids who need them. The nonprofit distributes bears to kids in homeless shelters, chronically ill children, and youth receiving treatment for eating disorders. Nicole Javorsky, Founder of Cubs for Coping. Patients say that the bears help them fall asleep. In the below tweets, some young patients mention that they still have and love the bears they received at LIJ (a hospital in NYC). Each handmade bear is unique, just like the recipient, and each recipient knows that they’re special enough to get their own bear. 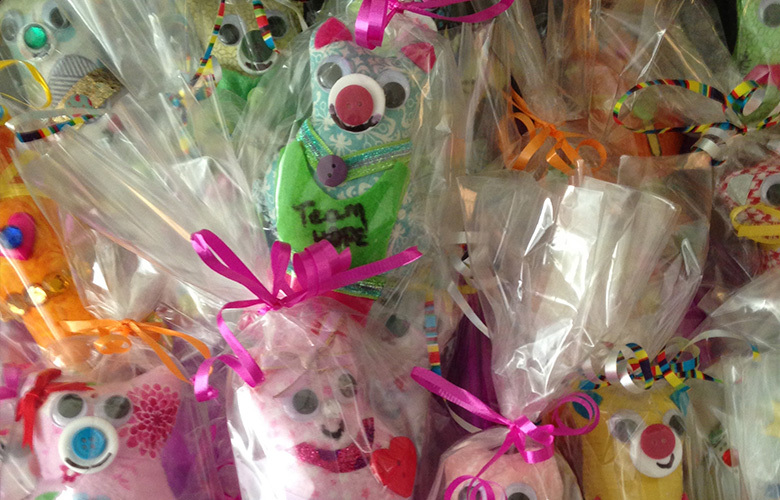 Cubs for Coping has donated almost 500 bears and is growing. The nonprofit hosts teddy bear making events in the New York City area. Cubs for Coping also partners with college groups that have teddy bear making events on campus. After the bears are made, Cubs for Coping ensures the stuffed animals get to kids who need the gifts. “I’m not the most qualified person to solve the problems that are out there, and I have a lot to learn. But, I can get involved, add a bit of positivity, make a difference and have fun doing it,” said Nicole, a sophomore at Barnard College of Columbia University. To get involved, visit Cubs for Coping. Just as a gift inspired Nicole to help more than 500 other people, here’s a story about a small holiday gift that wound up changing thousands of lives, and here’s a list of 102 Random Acts of Kindness you can perform to change someone else’s life. If you enjoyed this content, please consider clicking this link and liking my Facebook page. You’ll be helping me get my book, 100 Reasons to Smile, published (Publishers said I need more Facebook fans). Thank you!